A 16-year-old girl was allegedly gang raped and thrown from a train in the northern state of Bihar, police say. 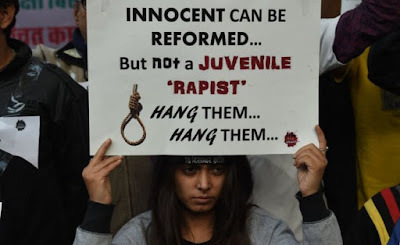 The teenager told police that two men abducted her from an isolated spot near her home in Lakhisarai district and brutally raped her on Saturday. They later took her to a railway station and boarded a train where three others joined them and also raped her. Police told the BBC that she was being treated for serious injuries. One suspect has been arrested so far. The men boarded the train at Chanan railway station and threw her out near Kiul. Some people found her near the tracks and took her to a local hospital. She was then transferred to a government hospital in the state capital, Patna. She has reportedly suffered fractures and serious injuries. Senior police officer SK Singhal said at least two of the men knew the victim and lived in her neighbourhood.